The Golden Ratio or The Golden Mean that is symbolized by the character Φ or Phi, is a special number you’ve probably heard in school. At first it seems as something ordinary, something you learn in Algebra. But the more you examine this ratio the more you realize that it’s an extraordinary phenomenon. The deeper you go into the rabbit hole the more you see that things are not that simple, that maybe everything is connected to everything else. The deeper you go examining this phenomena the more you realize that there is some intelligent pattern behind the curtains of reality and this ratio might be our biggest hint. You start seeing its mysterious existence all around us, from the arrangement of galaxies to the shape of our ears, everything follows this seemingly simple sequence. In the algebraic expression, The Golden Ratio is rounded off to 1.618. The Fibonacci Sequence is a progression of numbers created by the sum of the previous two. Leonardo Fibonacci discovered the unique properties of the Fibonacci sequence which is directly tied with The Golden Ratio because as the sequence progresses it follows it. The higher the number gets, the closer it is to The Golden Ratio. The spiral and rectangle created as a result of the sequence are also known as the Golden Rectangle or Spiral. The Golden Ratio has been used all throughout history, such as in ancient architecture, mathematics, science, arts, and other fields. This ratio became the foundation to describe the proportions of everything in The Universe, from the smallest atoms to the unimaginably large celestial bodies. This innate proportion is seen as Nature’s way of maintaining balance. Almost everything around us has dimensional properties that adhere to the ratio of 1.618. 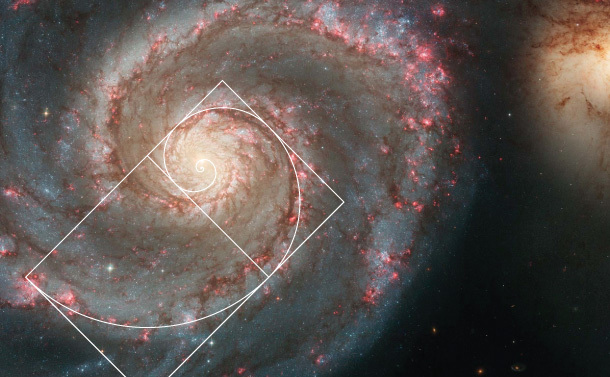 Hence, The Golden Ratio is also called The Divine Proportion, The Fingerprint Of God, or The Blueprint Of God, and it’s assumed to be the building block of The Universe. The petals of flowers give us the best examples. The lily shows us 3 petals, buttercups 5, chicory 21, and daisy 34. All these petals are arranged beautifully, enabling each to receive sunlight in equal proportion. They all follow The Golden Ratio. 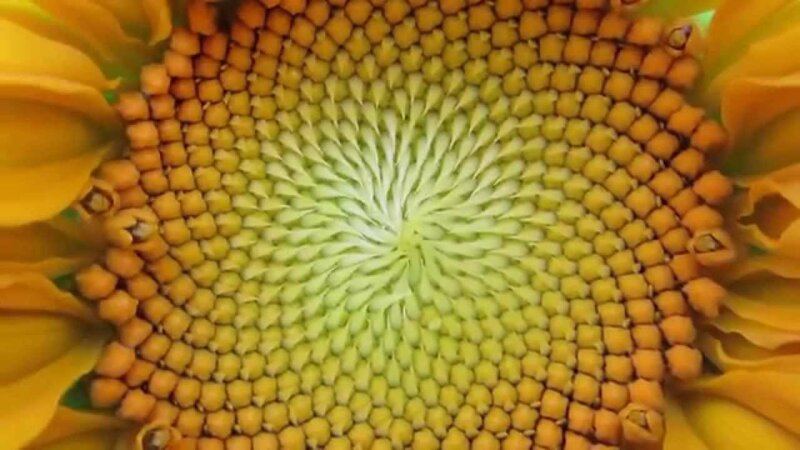 The seed heads of sunflower start at the center, then migrate towards the outside to fill all the space, creating a spiral pattern that follows the Divine Sequence. Some animal bodies that exhibit similar tendencies are dolphins, starfish, sand dollars, sea urchins, ants, and honey bees. The snail shells and nautilus shells follow the logarithmic spiral, as does the cochlea of the inner ear. It can also be seen in the horns of certain goats, and the shape of certain spider’s webs. 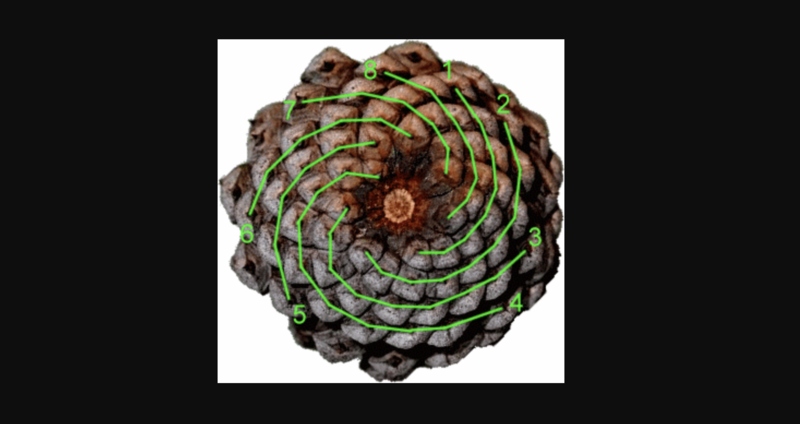 The seed pods on a pinecone are arranged in a spiral pattern, with each cone consisting of a pair of spirals, each one spiraling upwards in opposing directions following the pattern. Some fruits and vegetables like pineapples and cauliflower follow the same spiral pattern. You can find the fibonacci divine sequence even in broccoli, cabbages as well as bananas, apples and oranges. The branches of trees follow the Fibonacci sequence. The main trunk produces a branch which creates two growth points. The stems branch in two, three, five, and so on. The pattern repeats for each new stem, and can be best seen in sneezewort, roots, and algae. Most astonishing of all is not that this pattern is found in Nature but that it is followed by the Milky Way Galaxy as well as several other galaxies that are millions of light years away from ours. 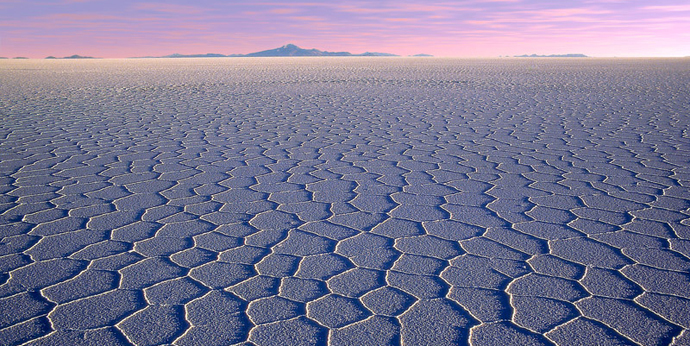 Even the formations of natural forces and our planet follow the divine pattern like, formation of mountains, salt flats, canyons, waterfalls, most of them follow the fibonacci sequence. Clouds, lightning and snowflakes follow the ratio. 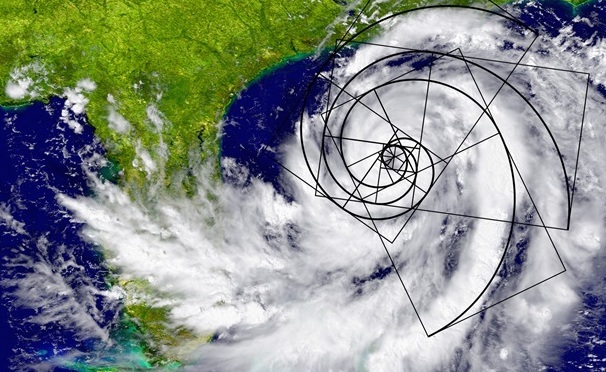 Even hurricanes have the spiral pattern. The DNA molecule measures 34 angstroms long by 21 angstroms wide for each full cycle of its double helix spiral. These numbers, 34 and 21, are numbers in the Fibonacci series, and their ratio 1.6190476 closely approximates Phi, 1.6180339. The bodies of humans are proportioned consistently with the Fibonacci sequence. The length of our fingers is proportioned through the Fibonacci sequence. 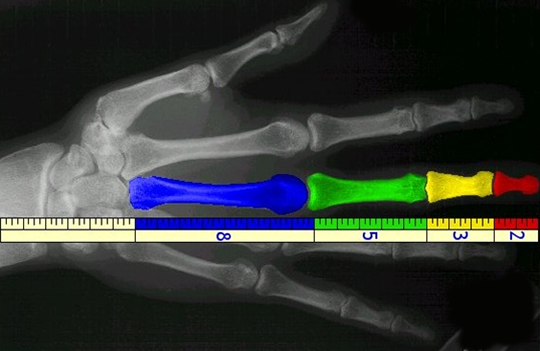 Each section, from the tip of the base to the wrist, is larger than the preceding one by almost the same ratio of the phi. The measurement from the navel to the floor and the top of the head to the navel is the golden ratio. The faces of humans and nonhumans also display the Fibonacci sequence. The mouth and nose are positioned at golden sections of the distance between the eyes and the bottom of the chin. The eye and ear relationship has similar proportions. 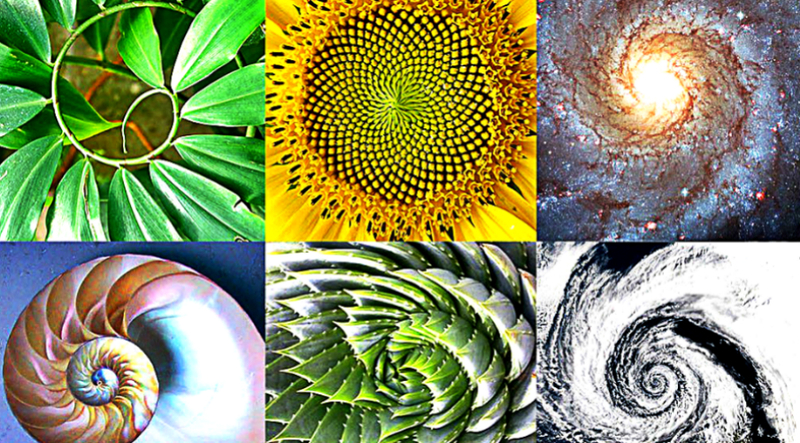 The above examples are only a few of the Fibonacci sequence that we see around us. A lot of them are still out there waiting to be discovered and explored. Basically, all things are connected by a common theme of nature. Things may appear random, but an underlying sequence and a divine law connects everything into a pattern. To the enlightened, this interconnectivity is the feeling of oneness with everything in The Universe. This sequence of numbers can open our minds to the idea that no matter our shape, color, or race, a greater intelligence connects us all and we are not separate from other creations.